DK Eyewitness Top 10 Travel Guide Prague will lead you straight to the very best of this historic city. Whether you're looking for a peaceful place to stay, the best events or the tastiest restaurants; this guide is your perfect pocket-sized companion. Rely on dozens of Top 10 lists - from the Top 10 beer halls to the Top 10 most haunted buildings, Top 10 shops and Top 10 hotels, there's even a list of the Top 10 things to avoid! The guide is divided by area; Prague Castle & Hradcany; Mala Strana; Josefov; Old Town and New Town. You'll find restaurant reviews for every area, as well as recommendations for luxury hotels, bars and places to shop. 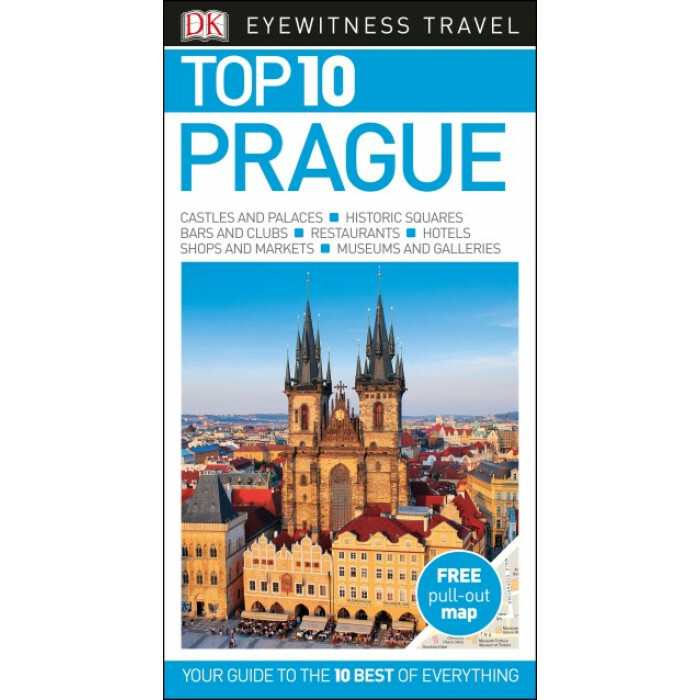 You'll also find the insider knowledge every visitor needs to explore every corner of Prague effortlessly in the DK Eyewitness Top 10 Travel Guide Prague and its FREE pull-out map.